The past year was an exciting time for the Filestack community. After transitioning from Filepicker to Filestack at the end of 2015, we started 2016 with a new goal: To be the complete, end to end solution for file uploading and management. 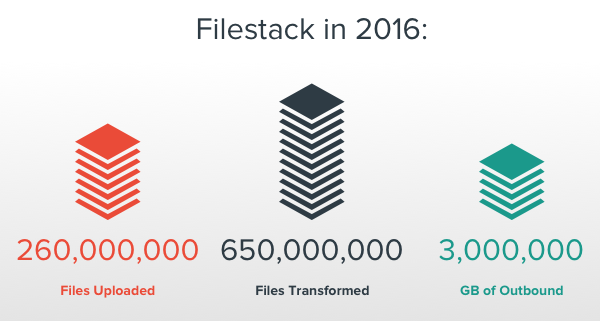 We’re proud to say that in 2016, Filestack powered 260 Million Files Uploads, 650 Million File Transformations, and 3 PB of bandwidth for Outbound Files for 50,000 developers across the globe.
? We developed advanced image manipulation that utilizes deep learning technology to upscale, auto-enhance, and remove red-eye from photos, so even smart phone images can be printed in high-res.
? We built the ability to export zip files, for easy file downloading and sharing.
? We created a Management API, to allow you to create sub-accounts within your account.
? And we updated our Documentation to make sure that everything is easy for you to find and use. ✍️ We’ve started utilizing our blog to write helpful tutorials, like how to create an Instagram-like app, how to create profile pictures for your users, and how to implement Filestack security.
? 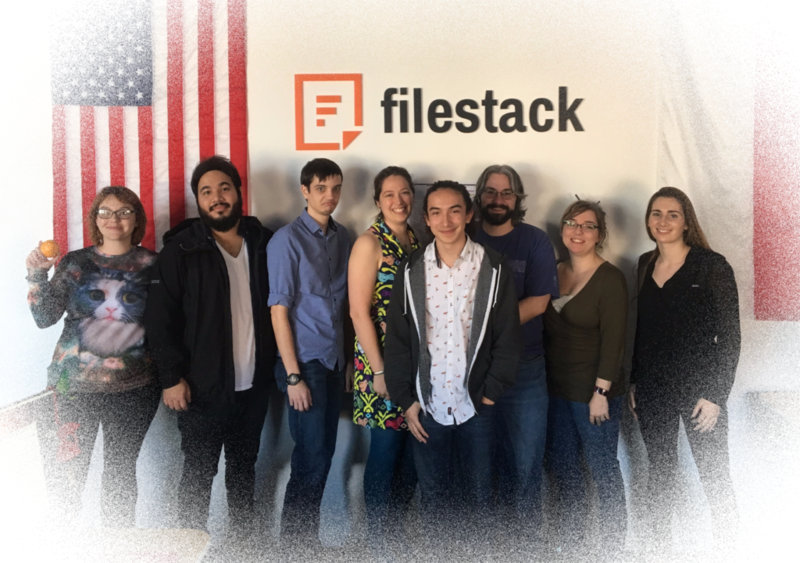 We welcomed 8 new team members to the Filestack team, and 2 new baby Filestackers into the world. We’re diving into our major products to improve usability and design, so without giving too much away, let’s just say we “picked” a good first project to revisit, and your users will jump “up” with “loads” of excitement when they use it. Stay posted for more info coming soon. ? We’re incredibly grateful for our fantastic community of developers across the globe. Thank you for supporting us through the changes, and we’re excited to share what’s to come in the new year.